Perthshire Open Studios is beginning to loom, somewhere, just out of sight, almost on the horizon! This year I'm venue 93 on the Green Route, which follows the A85 west from Perth all the way to Tyndrum and includes 21 fantastic venues. 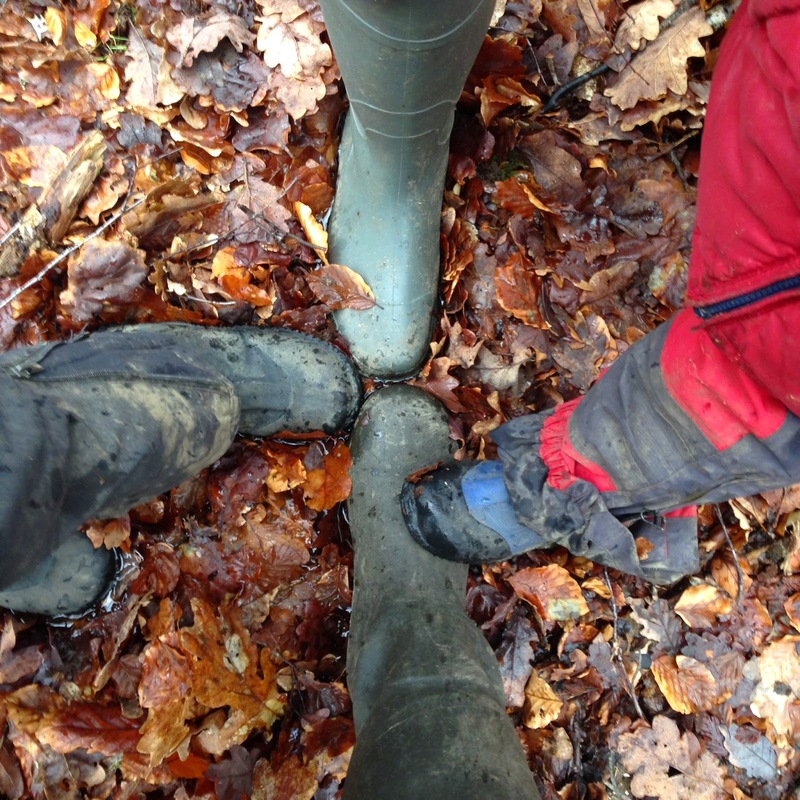 I'm really looking forward to taking part again this year and I've put together a whole series of interviews with fellow Green Route-erers! There are some fantastic, wonderful and just all round lovely people who open up their studios and workshops over the course of the 10 days and the ONLY drawback to taking part is that I can't get round and see everyone else's work and have a chat with them all! 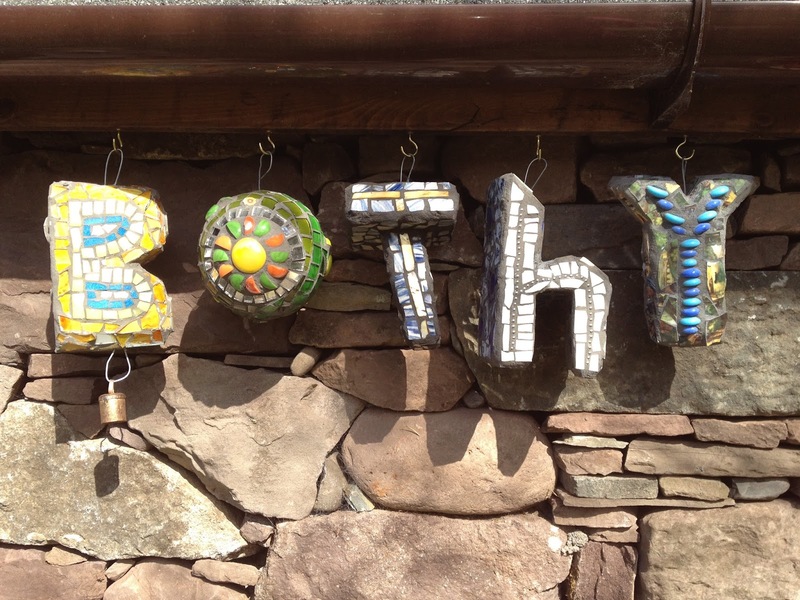 Kicking off the series is the lovely Katy Galbraith, The Bothy in the Garden, venue 89. Please give a brief bio of your business. What is your background? How did you begin as an artist? I wish I had gone to art college after school, but followed a different path instead – following poorly judged (imo) parental advice. Having dabbled in various medium as a hobby over the years, I discovered mosaic about 12 years ago, and was hooked. 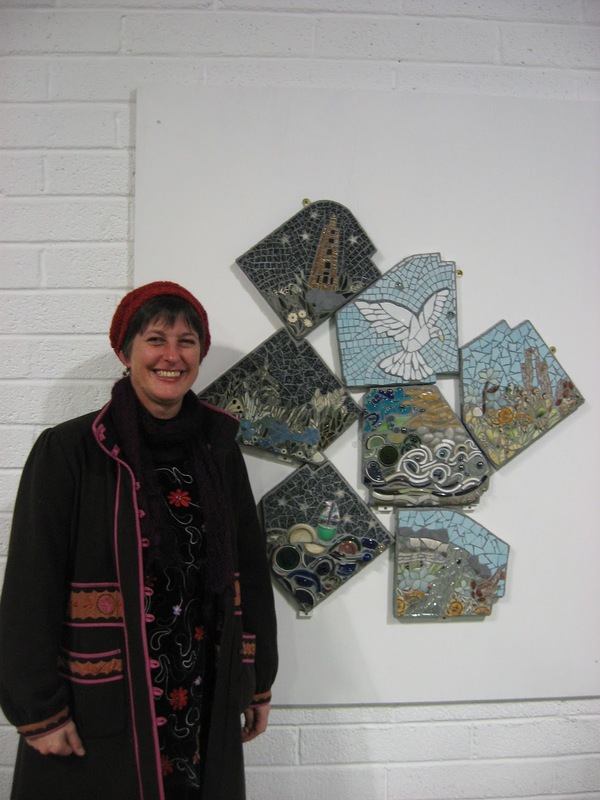 I was taught by a friend, Jan Kilpatrick of Wild Tiles, who used to live in the area. My first project was a table top for the garden – as my husband and I at first couldn’t decide on what table to have, but agreed on mosaic – nothing like being ambitious! When Jan moved away from the area, we started to run mosaic classes using my B&B as the venue… so over the years, I have been able to tap into her expertise, and sometimes she in to mine. I took the plunge a about five years ago and started selling and being more pro-active in promoting myself. I have done a lot of soul searching over the last few years, and have realised that for me, being deemed ‘an artist’ is very important, and that I want to be represented in quality galleries or ‘craft’ outlets. 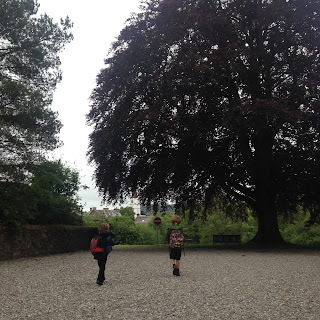 Have you taken part in Perthshire Open Studios before? This will be my fourth year. The first two years I did it on my own. 9 days is a long stretch to always be in attendance, especially as I have other commitments with the B&B! So last year, I invited some friends to join me. Our work complements each other, and by sharing my workshop space, it brings in a different mix of visitors. I do enjoy seeing people appreciate the mosaics around my garden, but the downside is that i have to get my (large) garden in order first! What artwork will you be displaying over the week? I have a variety of mirrors and smaller mosaics on display, made from my usual mix of recycled materials. I will also have the mosaic which i was working on last year (Moulin Rouge). 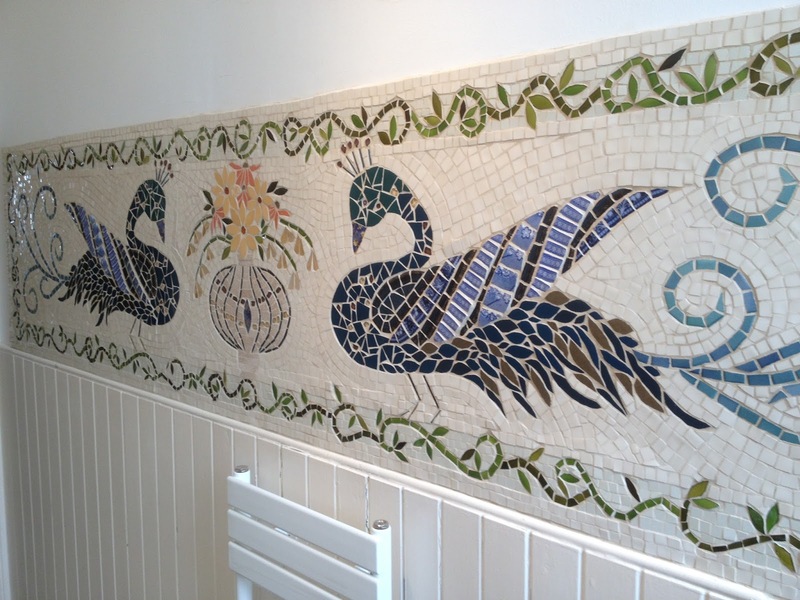 This piece was created for a mosaic exhibition hosted by the British Association of Modern Mosaics in London. I will also have a large, and complicated, mosaic entitled 'Scapes", which was the winning piece in an exhibition last year. I also have some photo books of past projects. My latest book includes photographs of a bathroom mosaic which came as a result of visit during Perthshire Open Studios 2011. (photo to follow). During this year's POS, in anticipation of me having my own exhibition in April 2014, I will be working on some sculptural pieces, which will be suitable for the outdoors. Explain your creative process. What journey do you take from idea to final product? 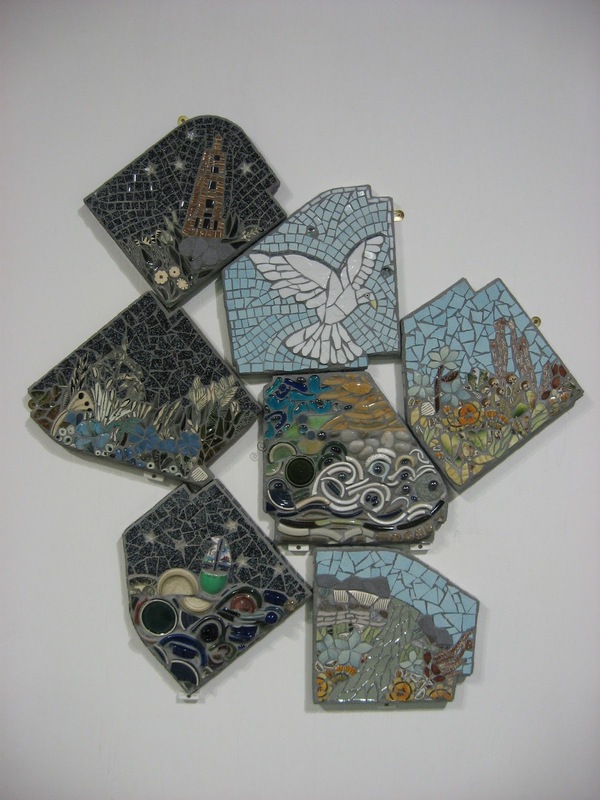 As mentioned above, i am a passionate recycler, and love the use of mixed materials in creating a mosaic, and feel that it is an important part of my work to illustrate the reuse of materials. It is often the receipt of a broken plate or cup that stimulates a new thought process and resulting mosaic; the colour or the texture of the item have a part to play. In terms of subjects, I love flowers and gardens, so many of my pieces are floral representations… though occasionally other ideas do pop into my head at times. I do have scrapbooks and mosaic books, but have recently started storing images on Pinterest (http://pinterest.com/katycrieff/) categorised by plants, birds, hearts etc). I don't really use sketchbooks, as i am not so good at drawing. Mosaic is more about blocks of colour and rhythm of the pieces, more akin to appliqué than painting. What or who are you most inspired by? Klimt and Tiffany, again it is more to do with the blocks of colour & rhythms. For writing and outlook on life, Barbara Kingsolver – novelist and essayist. She writes about various social issues, and has a strong environmental commitment. Her work has been consistantly good, and inspires a change in our own lives. The message that you get is that you can live a good and fulfilled life, be considerate to your neighbours, have sound social and environmental ethics and still achieve what you want out of life. And for music, Natasha Atlas! i can shimmy around my workshop any day. Here are all of Katy's contact details, I hope some of you get the chance to pop in and see her work! All images and designs Copyright Katy Galbraith 2013.